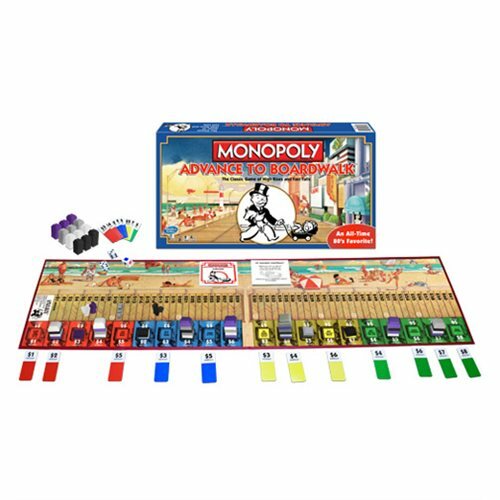 Originally introduced in 1985 as the first ever Monopoly "spin- off!" Players compete to build multi-level, high rise hotels along the historic seaside boardwalk. The player with the most valuable property portfolio wins! 2-4 Players. Ages 8 and up.